Newton Hall fig 52 2010, Tameside. 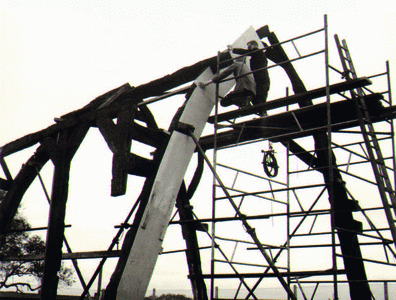 The measuring and recording of the cruck trusses in 1968 prior to restoration. Photograph courtesy of George Kenyon and Sons Ltd.